launch of the FUJINON XF55-200mm (83-300mm*1) F3.5-F4.8 R LM OIS, the first XF telephoto zoom lens for the X-Series Interchangeable Lens Digital Camera System that includes the award-winning FUJIFILM X-Pro1 and FUJIFILM X-E1. The all new XF55mm-200mm (83-300mm) F3.5-F4.8 gives photographers a fast aperture across the entire zoom range and outstanding image stabilization for sharp, high resolution images. “We know that adding this newly designed, advanced telephoto zoom lens to our XF lens line-up will allow photographers who are using our premium X-Pro1 and X-E1 cameras to gain even more shooting flexibility, and also have cutting edge optical technology at their fingertips that enhances the way they capture images,” said Go Miyazaki, president and chief operating officer, FUJIFILM North America Corporation. sharp images across its entire zoom range, from edge-to-edge. Its image stabilization function enables the use of shutter speeds up to 4.5 stops slower, preventing camera shake even when shooting hand-held in low-light situations, or when shooting at a stopped down aperture. 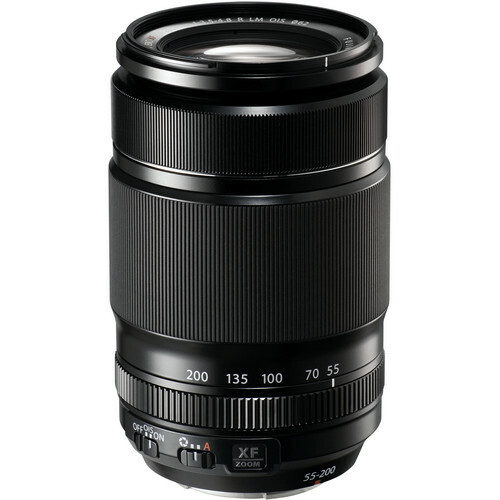 The XF55-200mm lens includes two linear motors for high-speed AF of 0.28 seconds*2 to quickly focus on your subject. Together with its high quality metal design, the XF55-200mm lens delivers an easy-to-transport lens with a large maximum aperture for outstanding mobility and performance. 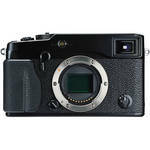 New firmware will also be released to improve auto focus performance for the FUJIFILM X-Pro1 and FUJIFILM X-E1*3. The new firmware maximizes the benefit of the XF lenses and enables the cameras to search the contrast AF quickly throughout the full range of focal length. The focus speed will be as fast as 0.7 seconds even if it searches from infinity to MOD at the telephoto end. The new firmware*3 will be available in July 2013 for download at Fujifilm.com. Fujifilm is committed to the entire X-Series line of advanced digital cameras and FUJINON XF lens, and is issuing an updated XF lens roadmap following the initial XF lens roadmap released in June 2012*4,5. 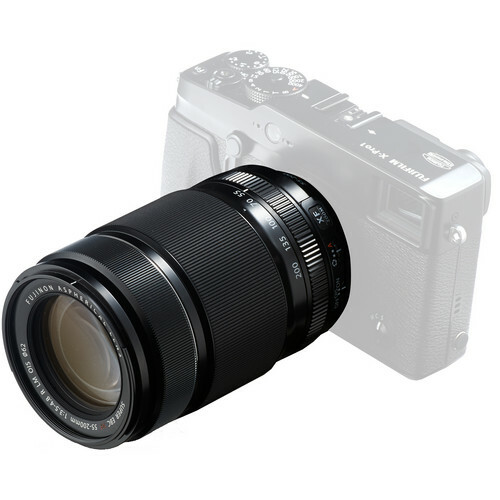 In late 2013, Fujifilm will deliver the pancake XF27mm (41mm*1) F2.8 high performance single focal length lens. Fujifilm will then launch the super wide zoom XF10mm-24mm (15-36mm*1) F4 lens with optical image stabilization and the single focal length XF23mm (35mm*1) F1.4 lens. In early 2014, FUJINON will launch its premier prime portrait lens, the XF56mm (84mm*1) F1.2R. For information about the Carl Zeiss X-mount lenses, please visit http://lenses.zeiss.com. *4 Images are not of the final product. *5 Road map is as of April 17, 2013. Specifications are subject to change. FUJIFILM North America Corporation, a marketing subsidiary of FUJIFILM Holdings America Corporation consists of five operating divisions and one subsidiary company. The Imaging Division sells consumer and commercial photographic products and services including film, one-time-use cameras, online photo services and fulfillment, digital printing equipment and service. The Electronic Imaging Division markets consumer digital cameras. The Motion Picture Division provides motion picture archival film, and the Graphic Systems Division supplies products and services to the printing industry. The Optical Devices Division provides binoculars, and optical lenses for closed circuit television, videography, cinematography, broadcast and industrial markets. FUJIFILM Canada Inc. markets a range of Fujifilm products and services. For more information, please visit www.fujifilmusa.com/northamerica, or go to www.twitter.com/fujifilmus to follow Fujifilm on Twitter. To receive news and information direct from Fujifilm via RSS, subscribe at www.fujifilmusa.com/rss. FUJIFILM Holdings Corporation, Tokyo, Japan, brings continuous innovation and leading-edge products to a broad spectrum of industries, including electronic imaging, digital printing equipment, medical systems, life sciences, graphic arts, flat panel display materials, and office products, based on a vast portfolio of digital, optical, fine chemical and thin film coating technologies. The company was among the top 10 companies around the world granted U.S. patents in 2011, and in the year ended March 31, 2012, had global revenues of $27.8 billion*. Fujifilm is committed to environmental stewardship and good corporate citizenship. For more information, please visit www.fujifilmholdings.com. Good times are ahead for Fujifilm users! Click here to see the full selection of X-E1’s at B&H web site. My friends at Adorama have it available here, and you can find it here at Amazon. 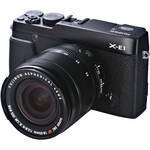 Click here to buy the X-Pro1 from B&H, or here to buy it from Amazon or here from Adorama .